January has become a time of special reflection. As New Year’s Eve celebrations die down and New Year’s resolutions rear their heads, it’s common to look back at the previous year to glean lessons from both successes and mistakes and to make plans and predictions for the years to come. 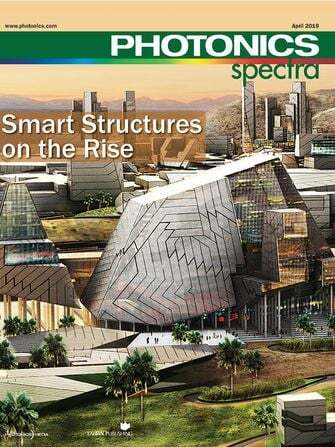 At Photonics Spectra, the January issue allows us to review technology and market trends and to look ahead at what to expect in the future. The biggest trend that hit the industry in 2009 – and that will continue to have a profound impact in 2010 and beyond – wasn’t exactly a technology trend, although it did affect development and sales of photonics technologies. The recession caused belt-tightening practically across the board, and in settings from industrial R&D to academe, everyone had to look closely at budgetary issues, even as stimulus funding eventually started to drift in. But the recession hasn’t killed off innovation. The feature articles in this issue will detail the biggest photonics developments of 2009 as well as predictions for the years to come in a range of technologies: optics, imaging, lasers and more. The year 2010 marks the 50th anniversary of the invention of the laser, and the laser industry in general is seeing some signs of growth after a financially difficult year. Lasers in the life and health sciences, scientific research and solar sectors are doing better, thanks in part to stimulus funding, and the microelectronics industry is growing despite slower progress in other industrial sectors. At laser companies, the focus has been fixed steadily on innovation and collaboration, with a fair dose of consolidation as well. Experts predict that the global laser market will rebound after its drop in 2009, boosted by growth in semiconductors and communications equipment, and by continued development of new products. From nonlinear optical effects for image contrast in biology and medicine to fiber lasers for clinical applications, from stimulated emission microscopy to one- and two-photon fluorescence microendoscopy, optics development in the biotech segment has been strong. Fiber optic cable at last has connected East Africa with international broadband networks, and service providers worldwide are working to get more bandwidth from their technologies. And high-brightness LEDs and adaptive optics are constantly finding new and exciting applications. Imaging and vision are branching out, too, and even helping to expand the reach of solar technologies: Photonics-based imaging is being used to inspect solar cells in production and to position solar grids – and even to make solar systems cheaper. Apart from solar, new imaging and vision developments in both hardware and software are being applied to robotics, manufacturing, security and forensics, and more. CMOS sensors are growing, as are electron-multiplying CCD cameras, and vision interfaces are evolving too.Other photonics technologies, such as fluorescence microscopy, Raman spectroscopy, positioning systems, terahertz imaging, slow light and photonics integration, have received significant attention this year and are expected to grow in the future. The future looks brighter for photonics as we move into 2010, and we’re counting on innovation to continue this trend.